Karl Marx and Careful Driving: E.U. 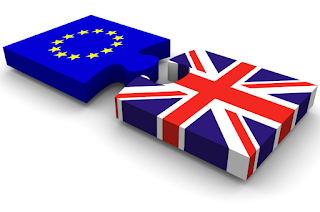 Referendum: Leave or Remain? E.U. Referendum: Leave or Remain? A guarantee of democracy is more important to me than promises of economic growth. The fifth-largest economy in the world may take a short-term hit as a result of leaving the European Union but I am confident in our ability to survive and prosper in the long term. History has a great deal to tell us, including two very important general truths. The first is that the centralisation of power (for example, from Westminster, The Hague, Stockholm, Vilnius, Porto and 22 other European governments to Brussels) is anti-democratic by its very nature. 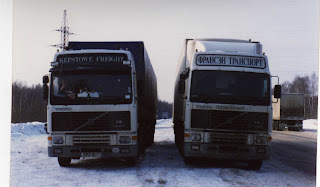 My unease about the creeping federalisation of the European Union goes back to a time when there were a mere twelve member states, Jacques Delors was the commissioner and I was driving trucks from the United Kingdom to Europe. I remember discussing the issue with a Kepstowe driver while we were waiting in one of those hellish border queues one freezing February night in 1994 to enter Russia. No lesser figure than Mikhail Gorbachev has observed that 'the most puzzling development in politics during the last decade is the apparent determination of Western European leaders to recreate the Soviet Union in Western Europe'. It appears that the resemblance of 'European Union' to 'Soviet Union' is more than just a matter of semantics. The second general truth is that the ruling classes invariably resist any radical changes to the status quo. Dictators use the state police and the army to suppress dissent. Democratically elected leaders exploit public fears of the unknown with dire predictions of chaos and upheaval. Karl Marx wrote 'The state is the form in which the individuals of a ruling class assert their common interests.' The European Union is essentially a good idea (from each state according to ability to each state according to need), but like so many other good ideas (such as Marxism), it has been hijacked by a wealthy and powerful elite to serve its own interests. The European Union has been constructed by politicians, lawyers, bankers and big business to suit politicians, lawyers, bankers and big business rather than the millions who toil on roads, railways and in factories, offices, hospitals, fields and warehouses. The free movement of people across borders has produced a vast pool of cheap, mobile labour. The direction of migration is always from poor to rich countries, where it inevitably reduces wages and increases profits. This is a capitalist scam: wages have stagnated or fallen over the past few years while prices, profits and boardroom pay have all spiralled. Like the vast majority of British citizens, I have no objection to reasonable levels of immigration but the United Kingdom's annual growth in population since the European Union's expansion in 2004 into Eastern Europe is both unprecedented and unsustainable. We already have a chronic shortage of housing and high levels of homelessness. Many millennials are unlikely ever be able to afford to own their own home because of soaring property prices and the law of supply and demand has also produced hikes in rental prices. Every other member state of the European Union would undoubtedly be concerned by the social effects of annual net migration figures in excess of 300,000 but they all shrug their shoulders: it isn't their problem. That isn't the attitude of any club I'd want to be a member of. It became very clear following Cameron's humiliating attempts to renegotiate our treaty that the free movement of people is non-negotiable, a British predicament that the British can do nothing about while they are members of the democratic European Union. An unelected 'troika' consisting of the European Bank, the E.U. Commission and the International Monetary Fund has presided over an economic meltdown it was powerless to prevent, austerity, growing inequality and soaring levels of unemployment, especially in Greece, Spain, Italy and Portugal, all rendered powerless to devalue their currencies by membership of the ill-conceived Euro Zone. Meanwhile the bankers bailed out by the taxpayer collect their bonuses as if nothing has happened while food banks have proliferated in the fifth largest economy in the world. The situation is scandalous and has been allowed to continue for far too long. We need change and we must be bold enough to seize the moment. Headline in the Guardian (Wednesday 15 June): Osborne: vote for Brexit and face £30 billion of taxes and cuts.The intimidation of the electorate by Cameron, Osborne and various establishment 'experts' (most of whom erroneously predicted similarly dire consequences were we to refuse to join the euro) has appalled me. The delivery of a leaflet presenting only a single side of the argument to every home was a transparent attempt by the government to rig the referendum result and a misuse of taxpayers' money. The only possible response to such abuses of power is to give the 'remain' campaign two fingers and 'vote leave'. Nobody knows what the future has in store, whether the vote is to leave or remain. I am prepared to hazard a guess, however, and the prediction applies whatever the result of the referendum. If the European Union fails to undertake reforms that will extend greater democracy and control to the citizens of the 28 member states it will suffer the same fate as Gorbachev's Soviet Union: extinction, and within the next ten years.